I love the look of this walk way! 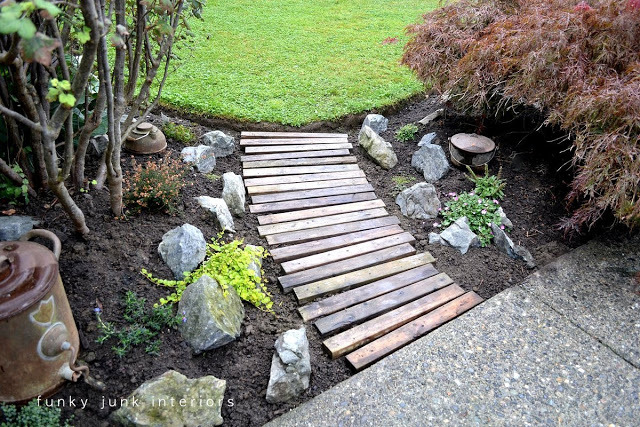 This walkway from Funky Junk Interiors is such a cool idea for a garden walkway. Its such a creative idea and adds so much character to the garden. Love it! 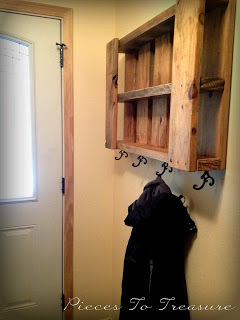 I love pallet projects, here is a a great way to spice up your entryway. Whats great is there is space to hang keys or even little shelves for decorations. Check out Pieces to Treasure for the tutorial.